Out of ideas for holiday presents? DekorBuy will make it easy for you! Holidays are a magical time for all of us. We wait all year to smell the Easter cakes and to taste the Christmas food. But holidays are not just the period of happiness and family time, they also require much work. We try to make our homes as well-prepared for guests as possible, we lose ourselves in cooking holiday meals and in cleaning the most hidden parts of the house. In this race against time, we often forget to buy presents and decide to choose last minute gifts before our family arrives. 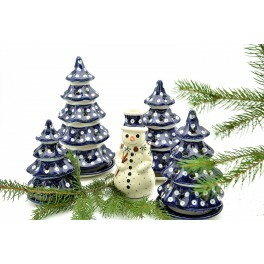 At DekorBuy, you will find unique pottery products for your friends and family, available for purchase all year. As our products combine beauty with functionality, you may be certain that shopping at our store is the right choice to make. Create one of a kind sets which will fully meet you expectations. Copyright © 2014 Dekorbuy. All rights reserved.